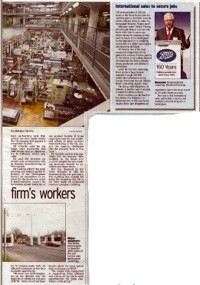 Pizzas – one million, two hundred thousand of them are manufactured every week in two factories in the Queens Drive industrial estate. Around 1,150 are employed at The Pizza Factory, although the owner – 2 Sisters – uses over 300 workers employed through agencies. 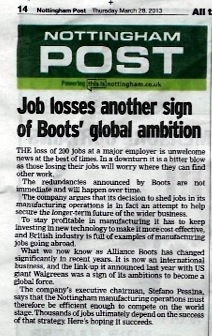 Photos from the Nottingham Post who have published 2 news articles on the loss of perhaps as many as 325 jobs, following Tesco’s deciding to buy their own brand pizzas from another supplier. Unite have published a statement. 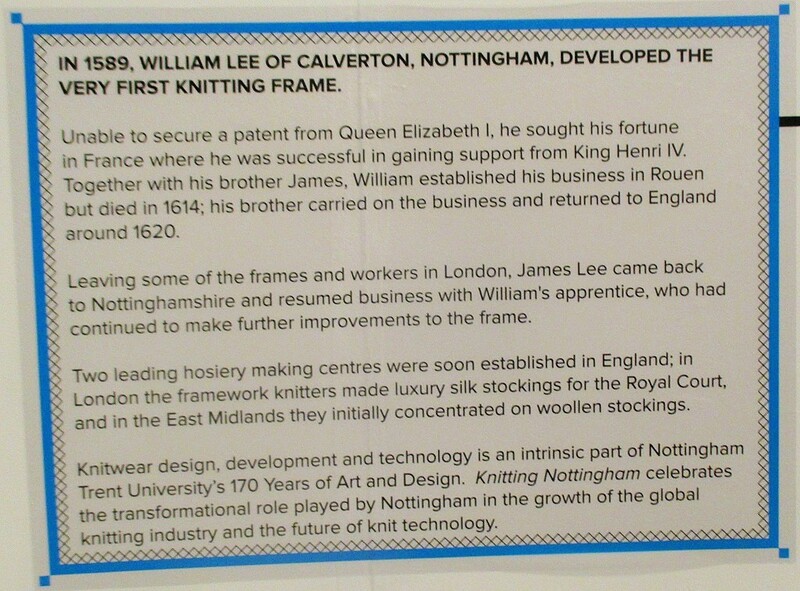 Starting with a reminder of the technology that made Nottingham so rich, a story of the impact of knitting on Nottingham, and Nottingham on the world. 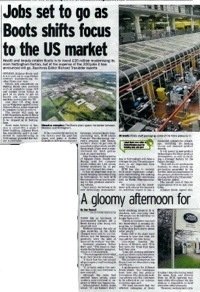 The latest innovation – body monitoring technology, for which NTU announced a grant of £3.3 million had been awarded. One piece knitted shoe uppers was a significant innovation in 2004. 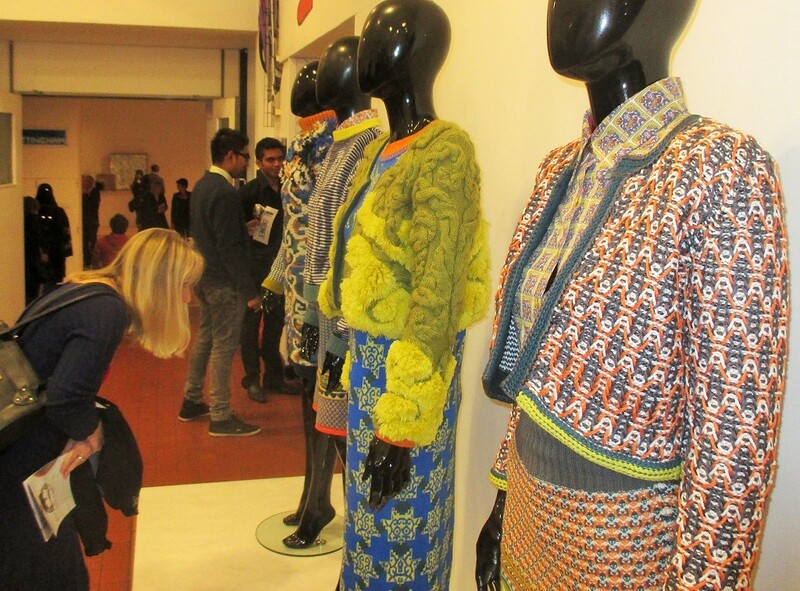 The exhibition is worth the visit. It really makes you want to look. 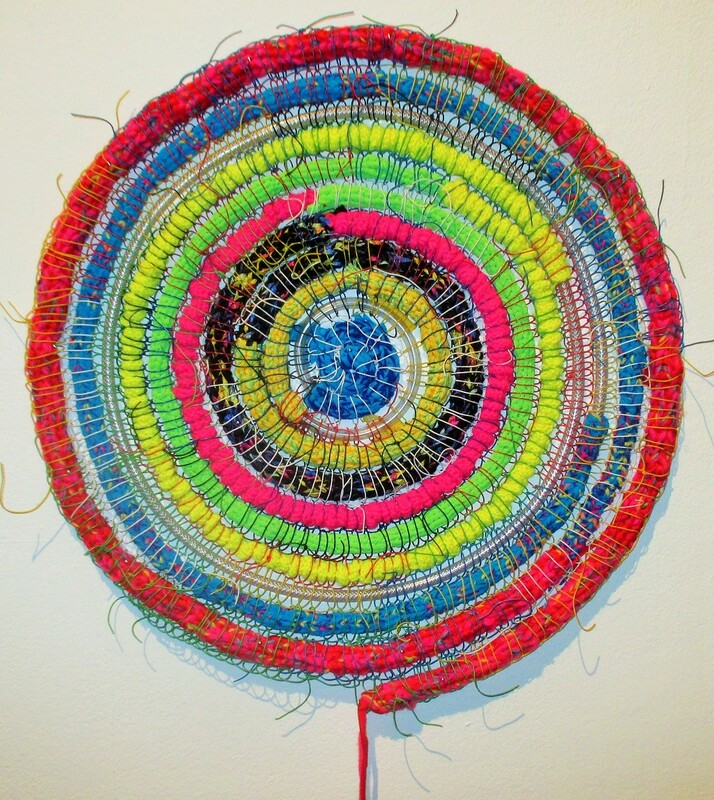 And if you are wondering what to do with all those small wool samples from the front of those knitting magazines, why not make a wall decoration? An entertaining article from the Nottingham Post – What’s the best thing Nottingham has given the world? They cite – Ibuprofen, MRI, HP Sauce, Raleigh bikes, VCR, Traffic lights, Tarmac, Torvill and Dean, Paul Smith, Goose Fair, although in a different order that gives more emphasis to personality. 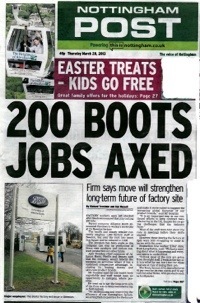 Spectacularly, the article missed stocking frames which transformed the nature and wealth of Nottingham. The stocking frame museum in Ruddington has just been awarded a Heritage Lottery fund award of £71,000. It’s manufacturing and product that matters. The launch of the East Midlands Labour Finance & Industry Group. Chuka Umanna, noting the 4.8 million businesses, said focus on the FTSE 100 can be bizarre and that Westminster was too obsessed with the City of London. Have to get finances sector to properly support businesses, so a British Investment Bank. But not finance for high street banks cos they have been the problem. Labour did a lot on skills gaps – increased people in his own constituency going to university by 81% But now need to shift the focus, a technical baccalaureate, apprenticeships, public procurement to back our businesses, regional tools to help you build local economies. Nottingham had identified their sectors – low carbon, bio-medical and creative; has a model, imagination and political will. 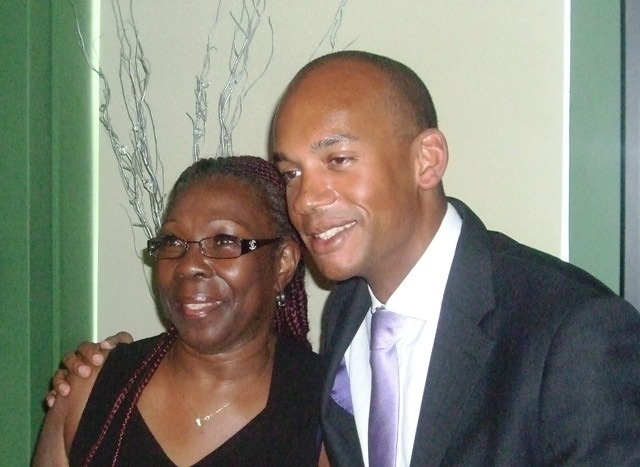 Chuka with the Sheriff of Nottingham, Cllr Merlita Bryan.